Neil is accustomed to working at the most senior levels of government with ministers and officials as political Leader of 150 English LEAs and subsequently as Head of Education, Skills, Lifelong Learning, Culture, Sport and Tourism for the Local Government Association (LGA). Member of national and regional organisations developing policy on skills, youth and adult training, FE planning and funding, inc Youth Training Board, North London Area Manpower Board, North London Learning and Skills Board, London Skills and Employment Board. Neil was appointed in 2004 by the then Mayor of London as Adviser to the London Skills and Employment Board which produced in 2007 city-wide plan ‘London’s Future: Skills and Employment Strategy’. For six years Neil chaired the regional funding and planning body for further and higher education in inner London covering 5 universities, 2 teacher training colleges, 35 Further Education colleges, 30 Adult Education Institutes, London careers and youth services. Neil has conducted a review of post-school provision across inner-London which redesigned post-16, skills, further education and advanced levels of provision across the region and created a system more responsive to the needs of inner London residents and mature students. Neil Chaired the Formation Committee that established the University of the Arts merging 7 art and design colleges, appointed the Director, governors and senior staff then chaired the Governing Council of the University for five years. Represented the local government sector on the 14 – 19 Diploma Development Partnership for the Public Services Diploma and had responsibility for employer engagement and links with Higher Education. Neil has an MBA from London Business School; a BA (Hons.) London University; a Teaching Certificate, Leeds. 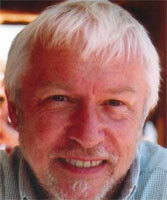 Neil is also a Fellow of the Royal Society of Arts (FRSA) and an Honorary Fellow of College of Teachers.